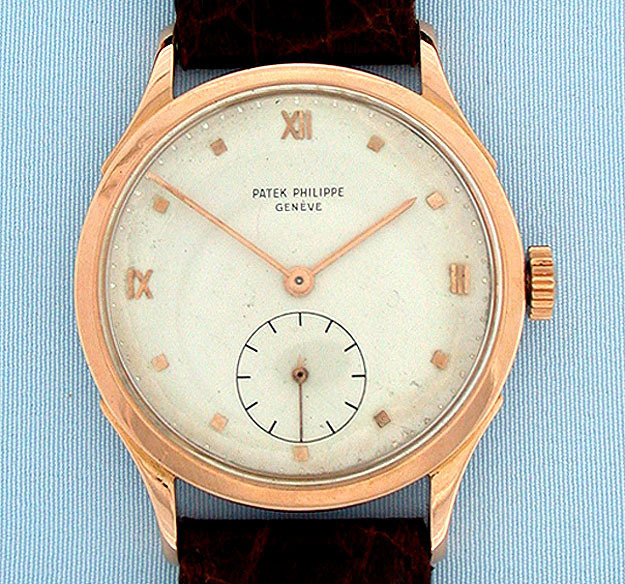 Fine and rare 18K red gold Patek Philippe reference 1589 vintage wrist watch circa 1952. 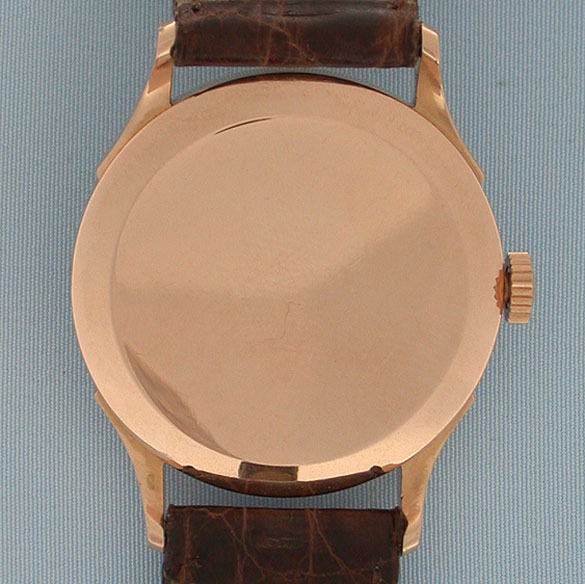 Original dial with kiln fired black enamel print and applied gold markers, with attractive light patination. 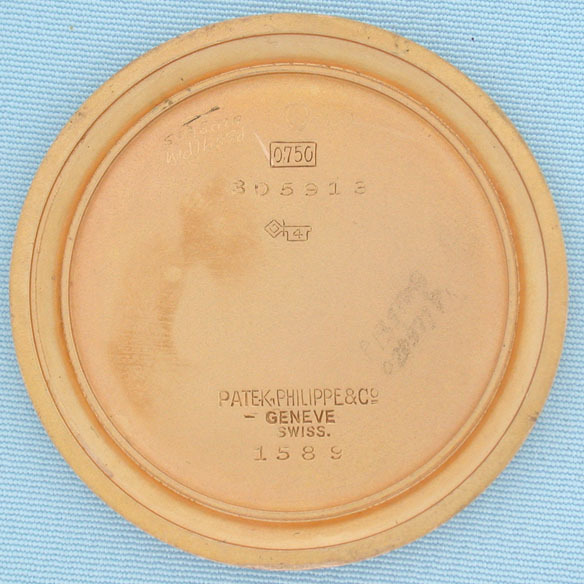 The case with downward sloping lugs and original gold Patek Philippe crown. 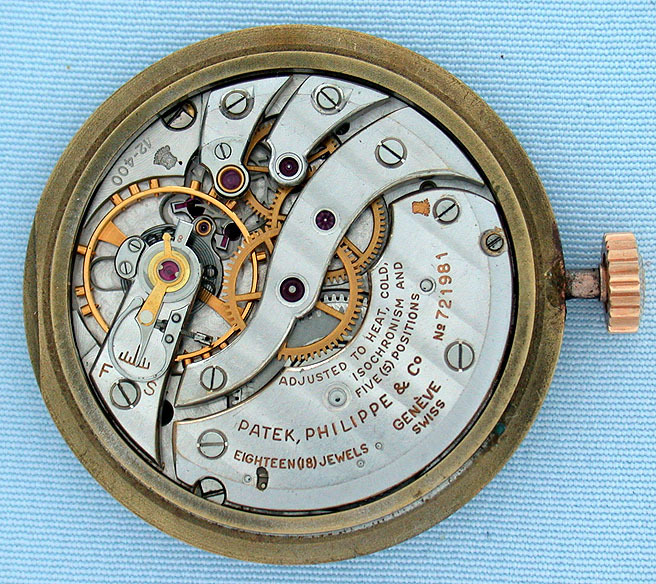 Rhodium calibre 12-400 18 jewel 8 adjustment movement with precision regulator, shockproofing (unusual for Patek) and two Geneva seals.